The graduate school program at Northern Illinois University offers more than 80 graduate degree programs and 50 specializations. In addition to master’s and doctoral degrees at its seven colleges, NIU offers graduate certificates in more than 65 courses of study. The school’s robust offering of graduate programs enables students to earn their degrees either in-person or online. There are five Master of Business Administration options that can be earned in-person: executive, 12-month, evening, global and international. Other in-person degrees include a Master of Public Administration, Master of Accounting Science, Master of Science in industrial and systems engineering, and a Doctor of Education: Adult and Higher Education – Adult Continuing Education. NIU Online graduate programs allow students to further their education and understanding of their field while being flexible enough to help students balance their personal obligations. No matter where they live, students pay the same cost per credit hour as an Illinois resident. Online degrees include a Master of Science in digital marketing, data analytics, industrial management and engineering management. Other degrees include a Master of Public Health, Doctor of Nursing Practice and a Doctor of Education: Adult and Higher Education – Community College Leadership. The online program provides access to an assortment of services, including the library and its collections, disability and technology resources, career development programs and the University Writing Center, which offers online sessions designed to help students develop their writing skills. Regional educational sites in Hoffman Estates, Naperville and Rockford provide convenient access to NIU programs. Additionally, NIU Naperville and NIU Hoffman Estates allow working professionals to balance a job and graduate school through its part-time MBA programs. Designed for maximum flexibility, the evening format allows busy adults to obtain a ranked and accredited MBA that’s self-paced to their personal schedules. The program is offered for spring, summer and fall semesters. Classes are held one night a week, Monday through Thursday, and students can take one, two or three courses per semester. The Fast-Trak MBA, offered on NIU’s main campus in DeKalb, is designed for students who want to continue their education directly out of their undergraduate program. The Fast-Trak is a full-time, daytime program that allows students to complete their MBA in just 12 months. Students may earn a second degree in Master of International Business through study abroad experiences in the fall and spring semesters. NIU’s One-Year MBA, offered at NIU Hoffman Estates, is designed for the working professional with a minimum of three years’ experience and an undergraduate business degree. The 12-month program begins in January, with classes offered two nights a week. It provides enhanced learning through the broad professional class make-up, the cohort experience and a rigorous curriculum delivered on an accelerated timetable. The College of Business introduced the Chicago MBA in Fall 2016, offered in Chicago’s Loop. Similar to the One-Year MBA, the Chicago MBA is a 12-month program designed for working professionals with an undergraduate business degree. For those in senior-level management, NIU’s Executive MBA program at NIU Hoffman Estates provides a curriculum that’s specifically designed to build on a base of managerial experience. Key elements include a balanced mix of professional peers – all students have 10 to 15 years’ work experience – and a broad representation of industries. MBA faculty are selected from the nationally recognized College of Business for their teaching ability, consulting experience and commitment to educating professionals. Many hold doctorates in their field of expertise. The faculty’s knowledge of business management principles and current business practices combine to create a stimulating and challenging classroom experience. 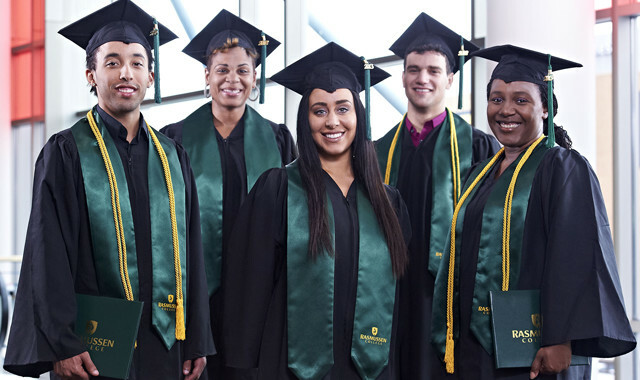 Established in 1899, Northern Michigan University (NMU) has grown and diversified to become a comprehensive educational institution of 7,800 students, with cutting-edge technology initiatives and nationally recognized programs. More than 75 percent of NMU’s 300-plus full-time faculty members have doctorates or the highest degree in their fields. A hallmark of the NMU experience is that full-time faculty members teach at all levels, freshmen through graduate courses. NMU is the first public university in Michigan dedicated to enhancing students’ learning experience through its Teaching, Learning and Communication Initiative. All full-time students are issued notebook computers as part of their tuition and fees, giving them faster, more complete access to instructors, fellow students – even class notes. President Barack Obama chose NMU as the site to announce his Wireless Innovation and Infrastructure Initiative in 2010. He held up Northern’s WiMAX network as a leading example of broadband’s capabilities. Undergraduates have access to important research opportunities, from testing a new class of drugs that treat attention/memory problems caused by schizophrenia to researching genes that may play critical roles in brain tumor formation and growth. It is one of only two Michigan universities to have an entrepreneurship major, and it has one of the few programs in the country for both ski management and wildland firefighting. NMU has programs in 42 of the 50 fastest-growing job occupations from the “Training for Michigan’s Hot Jobs” report, and boasts 90 percent placement rate or higher in numerous programs. A recent survey revealed that 85 courses in 35 majors employed some aspect of academic service learning methodology. NMU earned the Community Engagement Classification from the Carnegie Foundation for the Advancement of Teaching. NMU students and staff volunteer more than 100,000 hours in the community each year and partner with local organizations through service learning courses. NMU offers a number of student/faculty exchanges, faculty-led study abroad programs, semester- or yearlong study abroad through partner organizations and international volunteer/internship opportunities. NMU was among 16 U.S. institutions initially granted a license for study abroad programs in Cuba, and the first to go beyond Havana. Students can explore financial aid opportunities, scholarships and funding options with knowledgable counselors at NMU’s Financial Aid Office. 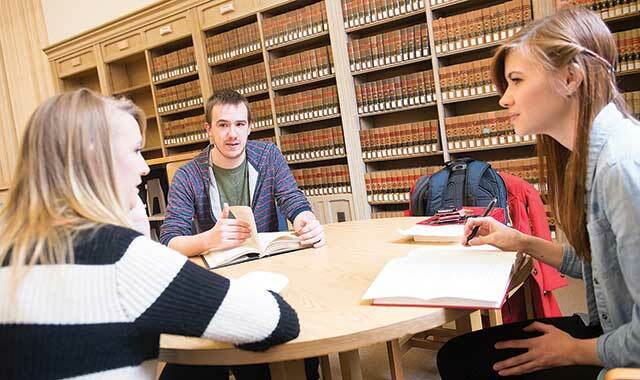 The university also provides accessible student support services, including free counseling and information services, a writing lab, a tutoring lab and an all-campus tutoring program in most areas of study. NMU student-athletes compete in the Great Lakes Intercollegiate Conference in 12 sports, six for men and seven for women. In addition, students can participate in about 325 student organizations representing a wide range of academic interests, hobbies, personal interests and causes. 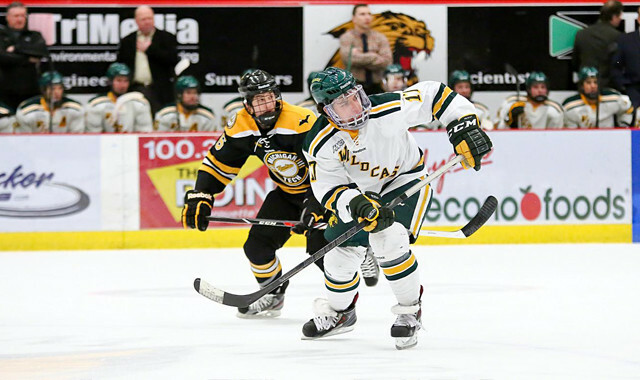 Further, NMU has the only residential program at a university that allows athletes to pursue degrees while training for world-class competitions. At Northern Michigan University, natural curiosity and intellectual challenge meet in stimulating classes grounded in the liberal arts. Wherever curiosity leads them, students can count on the support they need to take the next step, ask the next question and propose the next hypothesis. 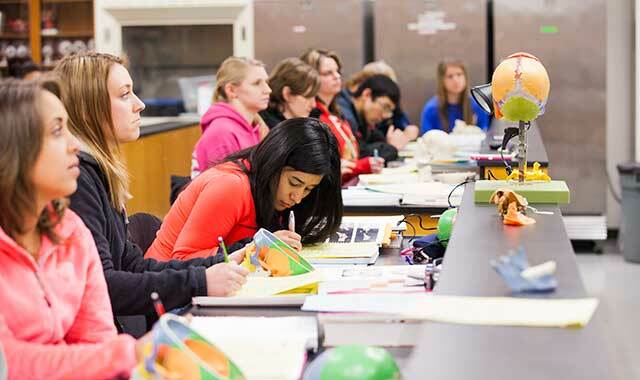 At Northern Illinois University (NIU), students are offered the best of both worlds. They have the resources and breadth of a large university with the culture, mindset and accessibility of a smaller college. NIU takes a student-centered approach that provides students with the resources, tools and guidance they need to build an educational experience that is rewarding, transformative and often as unique as the individual learner. Through internships, mentorships, research and artistry opportunities, study abroad, more than 200 student organizations and more, the faculty and staff work hard to provide students with life-changing opportunities. Additionally, 240,000 alumni worldwide (more than half of whom live in the Chicagoland area), help drive the success of NIU students. Through job shadowing, internships, mentorships and careers, NIU alumni take an active role in facilitating real-world, engaging experiences that help ensure that students succeed. The main campus in DeKalb – 65 miles west of Chicago and 45 miles southeast of Rockford – offers more than 100 options in undergraduate, graduate- and doctoral-level programs within seven colleges (Business, Education, Engineering and Engineering Technology, Health and Human Sciences, Law, Liberal Arts and Sciences, and Visual and Performing Arts). NIU also offers programming at regional centers in Hoffman Estates, Naperville, Oregon and Rockford, where working professionals can access programs at convenient times and locations. Students can take advantage of a new program known as NIU PLUS (short for Progressive Learning in Undergraduate Studies). NIU PLUS allows students to customize their learning experience in three areas: general education requirements, hands-on learning experiences outside the classroom, and the student’s on- or off-campus job. Within NIU PLUS, Academics PLUS allows students to blaze their own trail by customizing general education courses according to personal interests, career aspirations or major areas of study. Secondly, Engage PLUS ensures that students are recognized for their experiential-learning activities that take place outside the classroom. Working with faculty or staff mentors, or career supervisors, students can create a structured experience unique to their goals and interests. Finally, Jobs PLUS is designed to help students build a bridge between their college job and post-graduation career. Jobs PLUS regularly hosts professional development events open to all NIU students. An NIU education is nationally recognized in quality, nationally ranked in value and aimed at providing students with personal, career and life success. When you become a Huskie, you have the opportunity to build your own life while you’re here – and create the foundation for achieving career success when you graduate. Since 1967, McHenry County College (MCC) has been the area’s choice for a high-quality and fully accredited education. MCC was recently named among Aspen Institute’s top 150 community colleges in the nation, and CNN Money & College Measures reported that MCC is ranked fourth in the state for student success rates and affordability. MCC also was voted a “military friendly” institution by G.I. Jobs magazine. More than 90 percent of MCC’s full-time faculty hold a master’s or doctorate degree, as do 68 percent of its adjunct instructors. But the heart of MCC is its students, whether they come to start a new educational path, finish a dream that was sidetracked or try something new. Faculty and staff are dedicated to assisting students to success, so that they are prepared to move into a new career or transition smoothly to a four-year institution. This student-focused approach is paying off. According to recent statistics compiled by the Illinois Board of Higher Education for its Illinois Shared Enrollment and Graduation database, MCC students who transfer to a four-year institution do just as well as, or better than, students who started as freshmen. As part of the Illinois Skyway Collegiate Conference, affiliated with the National Junior College Athletic Association (NJCAA), MCC men’s and women’s intercollegiate athletics teams have earned 36 conference championships and produced more than 25 NJCAA All-Americans. In addition, MCC offers on-campus activities and more than 25 student clubs. The honors group Phi Theta Kappa helps MCC students to develop leadership skills. Through the College Consortium of International Students and the Illinois Consortium for International Studies and Programs, MCC students may participate in study-abroad programs in more than 30 countries. 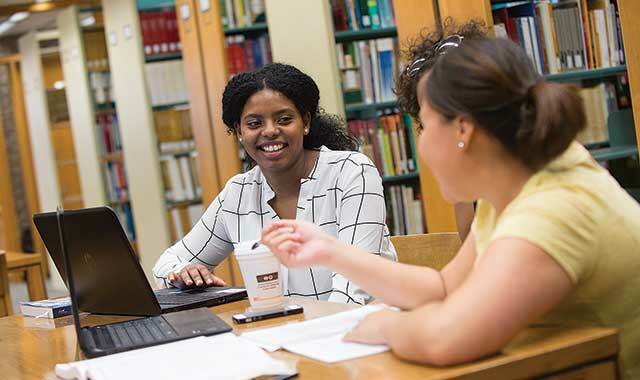 From the low student-to-teacher ratio in classes to flexible course offerings, MCC’s focus is always on helping each student to complete his or her degree. The college’s engaging environment stimulates more critical thinking and sharpens decision-making skills, better preparing students for a bright future. Learn what’s new at MCC by following the college on social media at mchenry.edu/social. Rasmussen College is a regionally accredited private college with 22 campuses across the Midwest and Florida, including four campuses in Illinois: Rockford, Romeoville/Joliet, Mokena/Tinley Park and Aurora/Naperville. More than 14,000 students are enrolled in total. Founded in 1900, with the Rockford campus opening in 2006, Rasmussen strives to: provide education for growing careers; impact lives both inside and outside the classroom; and remain dedicated to the growth and development of its students, employees and the communities it serves. Rasmussen College offers bachelor’s degrees, master’s degrees, associate degrees, certificates and diplomas in more than 50 programs, including business, justice studies, technology, design, education, nursing and health sciences. It’s committed to helping students gain the practical and relevant skills they need for career success, as well as providing flexible and affordable learning options. One example is Flex Choice, a learning option that allows students to take self-paced, competency-based courses alongside their faculty-led courses. Rasmussen College also provides a classroom experience that includes employer-based internship/externship opportunities, hands-on learning delivered through industry-experienced faculty with real-world insight, and new, technologically advanced learning platforms. Rasmussen College is committed to providing strong support services that go above and beyond traditional offerings. This includes one-on-one support with a student advisor, free tutoring, and access to hundreds of thousands of free digital resources, such as e-textbooks, scholarly articles and videos. Once students are ready to graduate, the college works closely to connect them with local employers that are hiring. A career services department is available to all students. As it prepares students for professional success, Rasmussen College instills in them the knowledge and skills they need to better their lives and have a profound influence in their communities. This is what defines Rasmussen College as a Public Benefit Corporation. The College focuses on connecting its students to local employers and expanding community initiatives through business partnerships, workforce insights and service opportunities for its employees. Since 1857, Upper Iowa University has been preparing students to succeed – in the classroom and throughout the world. A rich history, coupled with a student-centered mission, has created a springboard for Upper Iowa University to become a recognized innovator in offering accredited, quality programs through multiple flexible delivery systems, including online and self-paced studies. The Upper Iowa University Center in Rockford opened in 2008 and is celebrating its 10-year anniversary this year. The 13,000-square-foot building includes eight classrooms and a cutting-edge computer lab. Courses, held primarily in the evening, are offered during six 8-week terms and are taught by instructors who bring practical work experience to the classroom. In 1994, Upper Iowa University opened the Blackhawk Center at Blackhawk Technical College, Janesville. Courses, held primarily in the evening, are offered during six 8-week terms.Adjunct faculty draw on their practical experiences in the field. All BTC student transfers receive a 10-percent grant on their UIU tuition and, if they have a completed associate degree and a GPA of 3.0, they get a 20-percent tuition scholarship. The Upper Iowa University’s Center for Distance Education offers online courses for associate, bachelor’s and master’s degrees, as well as post-graduate certificates. Its online undergraduate bachelor’s program has been ranked among the best in the Midwest by U.S. News & World Report, which also ranked its online MBA program among the top 100 for 2015. Rockford will offer the MBA face-to-face in the fall of 2019. In addition to its MBA program being recognized as a Best Value by GetEducated.com, Upper Iowa University has been named a Top Military-Friendly School by Military Advanced Education. Upper Iowa University works with students to keep their college education affordable. Students are encouraged to contact its financial aid department, where counselors will assist them in looking for any possible means of financial assistance. Whether at its traditional campus in Fayette, Iowa, or one of its 25 educational centers in the U.S., students will find professional faculty and staff who care about their success and work hard to provide the education they desire. This entry was posted on Monday, September 24th, 2018 at 12:00 pm	and is filed under Mind & Spirit, Top Posts. You can follow any responses to this entry through the RSS 2.0 feed. Both comments and pings are currently closed.